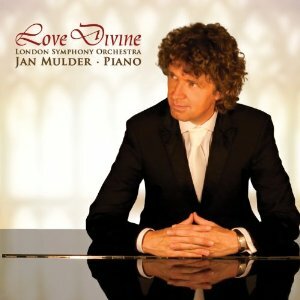 Pianist and composer Jan Mulder has recorded a new CD titled "Love Divine". Mulder conducted the London Symphony Orchestra while playing the solo piano part simultaneously. On this sacred album Jan Mulder plays tasteful arrangements of well-known melodies, such as "Abide with me', "How deep the Father's Love", "Amazing grace", "As the deer pants for the water" and "Great is Thy faithfulness". Order your copy of "Love Divine"today. Click the button below to add the LOVE DIVINE, LONDON SYMPHONY WITH JAN MULDER - MUSIC CD to your wish list.